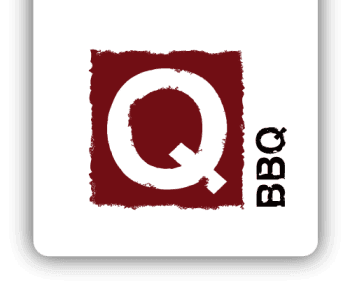 June 15, 2017 (La Grange, IL) - Q-BBQ, a fast-casual Michelin Guide's Bib Gourmand-winning restaurant offers a taco trio offered for a limited time only, for $7.99. It’s time to outsource the boring old ho hum “Taco Tuesday” and let Q-BBQ do all the heavy lifting with tacos made from smoked meat cooked low and slow for up to twenty-four hours. Their sumptuous taco trio features:. Pork Belly Burnt End taco with ancho roasted pineapple topped with pico de gallo, Burnt End taco with a chimichurri sauce and topped with slaw, and BBQ Pulled Chicken taco with Memphis sweet sauce, ancho chili seasoning and pico de gallo. The tacos are also available for easy self serving catering - perfect for July 4th celebrations. Q-BBQ is also introducing two new permanent menu items to their sides: Introducing Warm Potato Salad with Q’s proprietary BBQ dry rub, mayo, bacon, and green onions. Or, try something cooler, like their Cucumber & Tomato Salad with roasted red peppers, Italian dressing and fresh basil. Each location also offers a selection of beer and wines. From left to right, their zesty Warm Potato Salad, Taco Trio made from their cooked to perfection smoked meats, and their crisp and refreshing Cucumber & Tomato Salad.